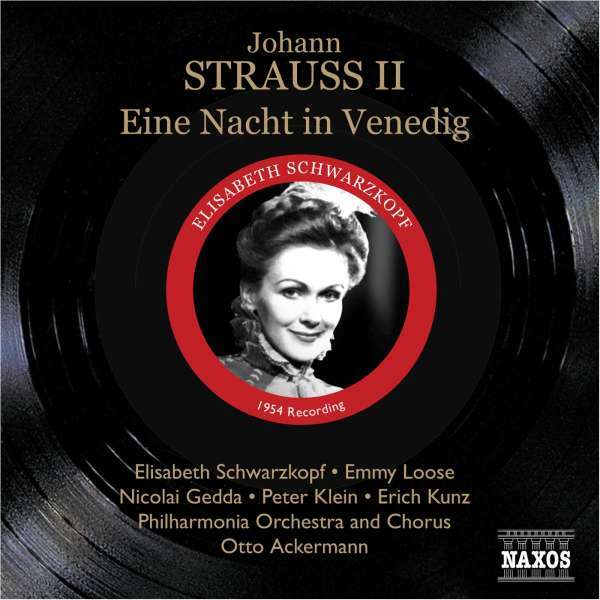 Der Artikel Johann Strauss II (1825-1899): Eine Nacht in Venedig wurde in den Warenkorb gelegt. 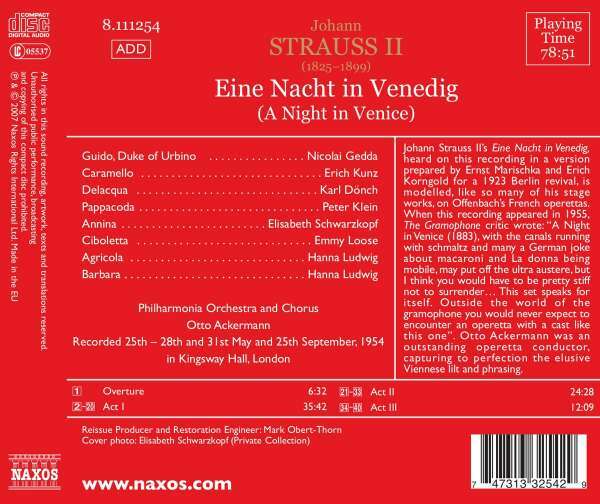 Johann Strauss II's Eine Nacht in Venedig, heard on this recording in a version prepared by Ernst Marischka and Erich Korngold for a 1923 Berlin revival, is modelled, like so many of his stage works, on Offenbach's French operettas. 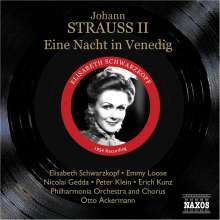 When this recording appeared in 1955, The Gramophone critic wrote: "A Night in Venice (1883), with the canals running with schmaltz and many a German joke about macaroni and La donna being mobile, may put off the ultra austere, but I think you would have to be pretty stiff not to surrender. This set speaks for itself. Outside the world of the gramophone you would never expect to encounter an operetta with a cast like this one". Otto Ackermann was an outstanding operetta conductor, capturing to perfection the elusive Viennese lilt and phrasing.